So, what’s the Freedom Society? If you’re a coach or online entrepreneur (or aspiring to be) I believe this is the last coaching program you’ll need to finally make consistent, serious income in your business. All without going into overwhelm or burn out. And honestly, I hesitate to even call this a ‘coaching program’ as it’s so much more than those big groups you’ve probably signed up for in the past. In the Freedom Society you’ll be treated like the unique brilliant individual you are, not a number. So if you’re ready for personalized 1:1 coaching in a supportive group setting, comprehensive trainings, access to top industry experts, sisterhood and so much more…then you’re in the right place, let’s do this! How good would it feel to finally launch your coaching biz and start booking paying clients? I know what it feels like to start your own business and wonder if it’s ever going to work. You feel like you’re non-stop hustling and your best relationship is with your laptop because you don’t have time to talk to real people until you 1. get clear on your ideal client, 2. launch your website, 3. set up your new opt-in offer…..and the list goes on and on. You feel overwhelmed by the ten new social media platforms that seem to come out every month (“Was that Snapface I was supposed to join next? ?”) and you’re wondering how on earth you’d have time to even work with paying clients if you could figure out where the heck they were all hiding. Am I right, or am I right? I’ve totally been in your shoes, sister! The only way I kept my sanity and went on to build a business that’s earned over a million dollars, while actually having the freedom to enjoy hobbies, evenings and weekends, family and other important things in the process was by saying ‘NO’ to everything except money making activities. Here’s a secret…I don’t follow the majority of the marketing guru’s recommendations. I don’t know how to use Twitter (don’t ask), I hate Periscope, I only offer webinars a couple times a year and I didn’t start paid advertising until I’d already reached the 6-figure mark in my business. Every expert out there wants you to believe that being successful can only happen if you follow their specific 23 step formula. But, that’s not the case. You are a unique, brilliant human being and there’s a specific business plan, marketing strategy, and ideal client just for you. I created the Freedom Society so you could say goodbye to all the crazy confusion and marketing fads and FINALLY discover and design your own unique (and highly profitable) online business. Are you ready to silence all the noise and create your own BIG success story? Then let’s get started. What makes the Freedom Society different? You have the opportunity to ask me your questions and receive coaching + specific action steps on 2 calls every month. This isn’t one of those giant group programs where you sign up and never receive personalized support. Have you been in coaching programs where you felt like you were just gaining momentum when the program ends? Not here, Freedom Society runs four full months + you have lifetime access to our private FB community so you'll always have support when you need it. The trainings you receive with the Freedom Society will serve you for years to come. Everything from the basics like growing your audience and creating your packages to the legal side, paid advertising and even creating your first sales funnels. You'll receive access to some of the top biz experts who have helped me grow my list x5 (in less than a year), help run multiple 7-figure coaching businesses, design my launches, and more. These ladies can show you the fast-track to success! This is the most active and supportive FB community I've ever been a part of and I check in regularly to offer support, guidance, celebration and answer questions. This is going to be one of your favorite (and most powerful) resources. You see, I’m the ultimate freedom girl. A freedom fanatic you might say. And freedom to me is unlimited time, money and a clear, joyous mind. And not to sound super cliche, but I feel like I’m living this dream. I typically work about 4 days a week, doing work I love, from anywhere. On top of this I enjoy consistent $50K – $100K months and my husband quit his job a couple years ago and now works and plays with me full-time as well. Living the dream. But life definitely wasn’t always this way, end of 2013 I’d hit my rock bottom and was spending a lot of time ugly crying everywhere. I remember just thinking over and over “I need help”. I was right. I had been trying multiple entrepreneurial pursuits for years (yoga instructor, personal trainer, health coach, purse designer, tea maker, etc.) but nothing was sticking. I worked out my budget so I could get by on just $1200 a month, but I wasn’t even hitting that. I was a perpetual under earner typically earning closer to $600 a month if I was lucky. This led to some serious credit card debt and overall feeling terrible about myself and what a failure I thought I was. But my spirit was stronger, and I bet yours is too. 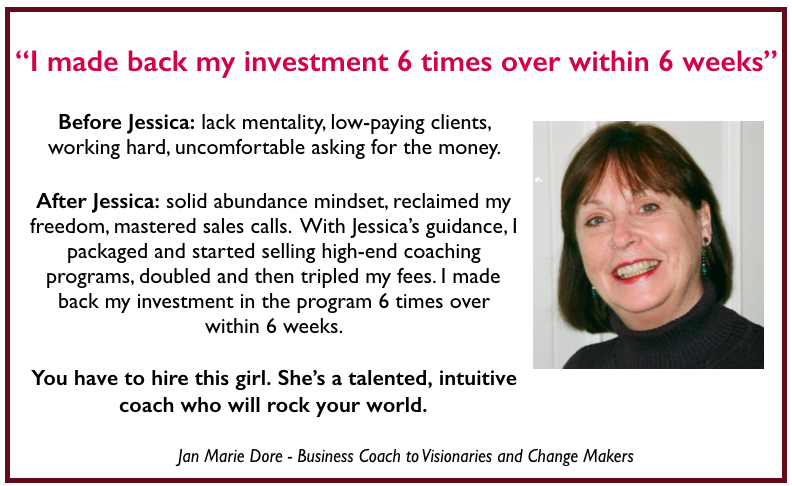 I did need help and I took a big leap and I hired my first coach for $6,000. Nope, I didn’t have that in the bank at the time (thank God for credit cards!). Within 48 hours I’d sold my first $5,000 coaching package after having only sold 2, $50 single sessions previously. That’s how powerful intention and showing the Universe you’re serious about your dreams really is! This went on to become my first $10,000 month and then I sold my first 6-figures in the next 6 months. All this from a girl who had earned $7,000 total in 2013. I now travel regularly: Hawaii, Australia, Paris, LA, Monaco, and more. I choose my schedule and wrap my days up early to spend time outside hiking and playing. I’ve lived in a luxury RV in the Colorado mountains while hiking and playing with my pups, spent a lot of time in gorgeous five star resorts (and their spas, of course) and my husband and I just finished building and moving into our beautiful dream home funded solely from this coaching business. I celebrated my first $100K+ MONTH a year ago (it was honestly one of my easiest months yet ) and I’ve continued to focus on play, pleasure, freedom and BIG impact as my coaching business has grown from just me to include a rock star team and clients from Dubai, Australia, Europe, the U.S. and everywhere in between. I’m just a small town country girl from Colorado. If I can have this kind of transformation, just imagine what’s possible for you. And the only thing I love more than creating freedom for myself is helping others do the same. That’s what The Freedom Society is all about. What Does the freedom society Cover? The Freedom Society covers 8 integral trainings on topics you must master to create the 6-figure online business you deserve, whether you’re just getting started or have been ‘in the business’ for years. As well as 4 live guest expert trainings and bonus materials throughout the program. My clients regularly share that they continue using these training modules for years to come and feel the program investment is worth access to these modules alone, let alone the live coaching, community and more. I 100% know how to consistently make money, doing work you love, in an online business, from anywhere in the world. That’s my area of expertise. However, I consistently connect with and hire the best and brightest in the online world to help grow my business, impact and income. And I’m so excited to introduce you to four women who have been game-changers in my business and who I KNOW can help show you the fast-track to success as well! Need support with funnels, FB ads, getting booked up and writing powerful copy? Look no further, this really is your one-stop-shop for everything you need to make your online business profitable. 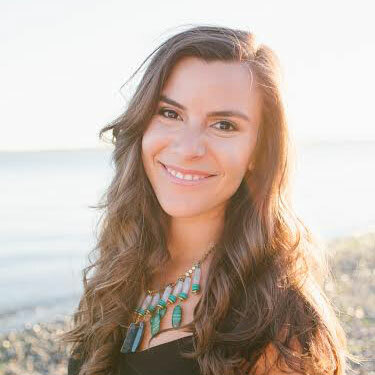 Megan is the co-founder of Structured Freedom with her husband Shawn, she’s a content creating machine and an online business mentor with a background in teaching, public education, curriculum development, and entrepreneurship. 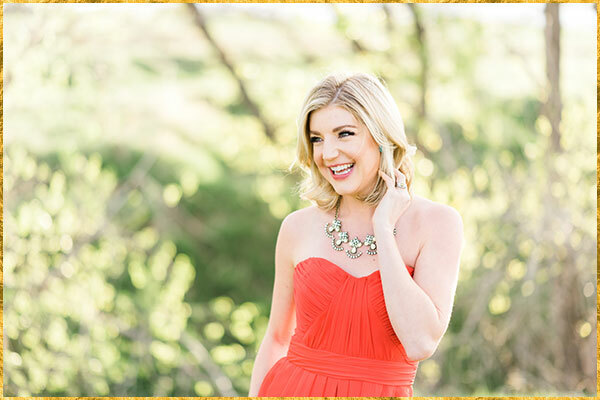 After running her own coaching business from 2011 – 2013, she spent four years working alongside Gina DeVee, one of the most sought after international coaches in the world, where she served nearly 1,000 women and helped develop and direct eight 12-month long group coaching programs in a 3 years. 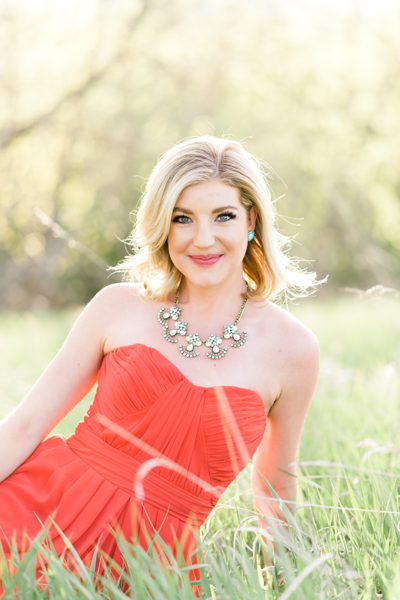 Megan now mentors service-based entrepreneurs, coaches, and experts to develop and launch their first online training course or group coaching program. Training Topic: How to get your first 1,000 leads with FB Ads (even if you have no idea what you’re doing). During this training Amy Crane, founder of Social Lab Marketing, will show you step by step how to create your first list building ad so you can grow your list faster (even if you’ve never ran a FB Ad before), how to easily find your customers and clients on FB, and simple tips for getting the most out of your advertising dollars when you’re just getting started. 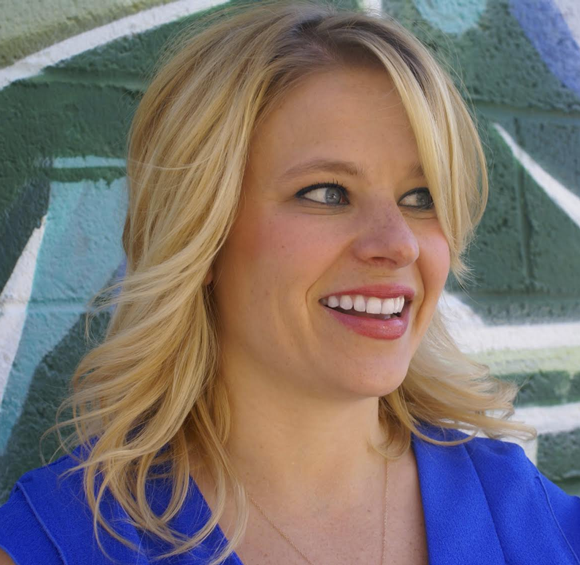 Amy Crane is a Facebook Advertising Strategist and the founder of Social Lab Marketing. Frustrated with spending thousands of dollars on traditional marketing for her retail business and seeing little results, Amy decided to turn to Facebook Advertising. She quickly realized the power of Facebook Advertising and her overall sales jumped 30% in just a few short weeks. Now she works with online businesses to create effective 6 and 7 figure ad campaigns and manages over $250K in monthly ad spend for her clients. Maggie Patterson is a communications strategist and Chief Marketing Officer at Scoop Industries. With 15+ years experience (11 of which as a self-employed consultant), Maggie has spent her entire career in marketing and as a copywriter. Today, she works with service-based business owners to help them implement smart strategies for business growth including the ideal client development and email marketing copy. She’s a Master Level Content Marketer as awarded by Copyblogger and her work has been widely published by leading websites including Virgin.com, Fastcompany.com and more. 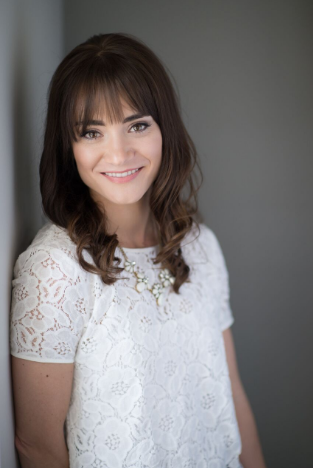 Brittany Becher is a sales and marketing automation strategist and CEO of Scoop Industries. Her sweet spot is working with service-based business owners to help them make sense of tech, marketing and overall growth strategies – particularly helping them to double their businesses and beyond. 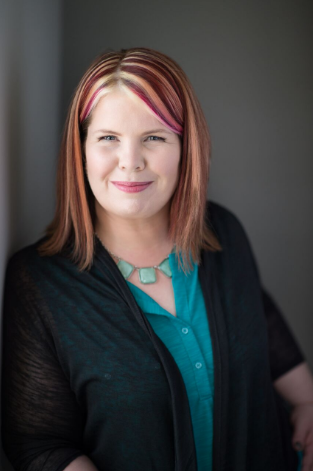 Brittany has over 10 years in the field and is an Infusionsoft Certified Partner, ConvertKit Certified Expert and has worked with 7-figure online companies to the biggest brands in the world. Stacey’s had over 600,000 people watch her Facebook Lives in the last year and all of her business (up to 100K months!) comes from simply going live. NO opt-ins, no Facebook Ads. She’s been featured in FORBES, TEDx, BBC, and Conde Nast. 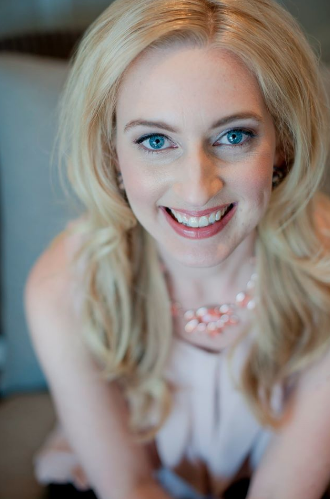 Sarah is the go-to legal expert for coaches and service based entrepreneurs with an online business. Everything from contracts, terms and conditions, privacy policies and more that you didn’t know you need to create the freedom based biz you’ll love! This is the piece that I see missing from way too many group programs that are claiming big outcomes without having the client results to back it up. Why? Because these other programs are filled with info without any accountability or implementation support. Which leads to a whole lot of dusty trainings sitting in a folder on your desktop somewhere. The Freedom Society is different because you receive ongoing personalized support from someone who knows this industry, inside and out, and has been creating consistent 5 and 6 figure months for over three years! Sign up early to receive access to two LIVE Orientation and Coaching Calls on February 16th and 28th to start gaining momentum before the program even begins (Available as recordings after). Twice a month, March - June, I’ll answer your specific questions live during our group calls. Can’t make all the calls live? No worries! Every call will be recorded so you can relisten as often as you like. Every month you’ll receive access to a LIVE training from a leading online business expert who has made a big impact on my success and I have no doubt will on yours too! Every week I’ll be stopping by our members-only Facebook group to offer support and answer questions that are coming up between our group sessions. So you’ll always feel on track. 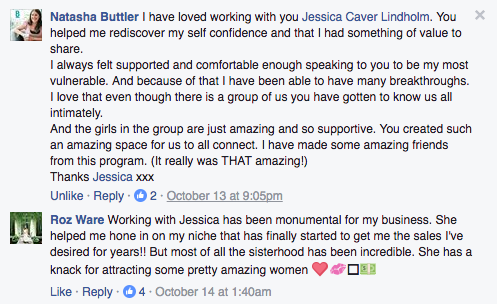 This is a global community so no matter where you are or what time of day, there’s always support available from your Freedom Sisters in the private Facebook community. Plus, you’ll also receive support in setting up your own mastermind group for additional accountability. Twice a month, March – June, I’ll answer your specific questions live during our group calls. Can’t make all the calls live? No worries! Every call will be recorded so you can relisten as often as you like. I wouldn’t be where I am today if I hadn’t invested thousands and thousands of dollars into my business…but you don’t need to. I’ve spent the years studying, learning, being mentored by and masterminding with the best of the best. I have a multiple 6-figure business quickly moving towards breaking the million dollar mark, consistently earning $50,000 to over $100,000 a month. And I’ve compiled everything that took me from years of dreaming about my own successful freedom based business to actually living it and compiled it into an easy to access and implement format, with the personalized support and depth of training that when utilized, will get you results…but, at a fraction of what I invested. 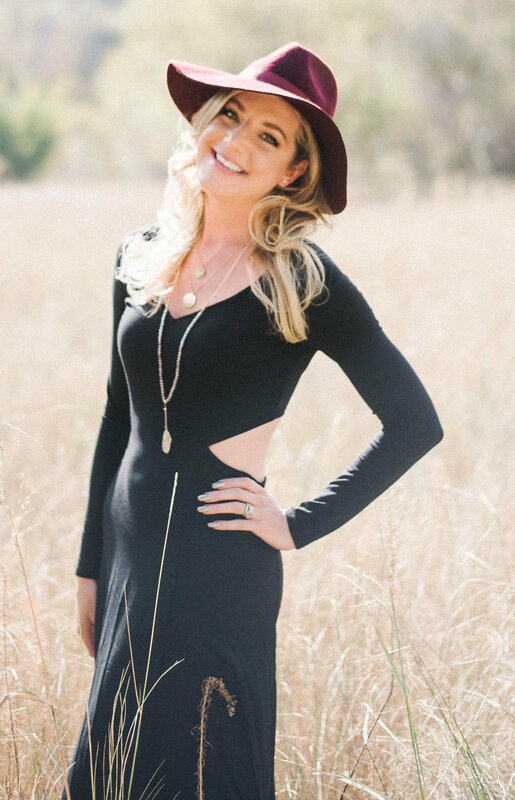 Ashly hit $9k in sales in a week with her photography business! 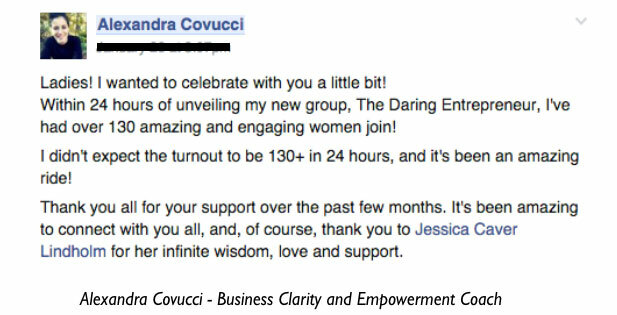 “within 24 hours I’ve had 130 women join my new group! Is the Freedom Society exactly what you’ve been looking for but you still have a couple questions? Look no further, here’s the most frequently asked questions that I know will help you feel totally clear. You say this is the only coaching program I’ll need to create my online business, why is that? Because I’m including the exact steps that I used to go from 0 to 6-figures in 6 months and continue to double my business every year for THREE YEARS straight, and counting. This isn’t a fluff and filler program, this is specific proven action steps that have consistently worked for both my business and my clients’ businesses which range from business, health and relationship coaching to personal training, photography, yoga and more. Will I receive personalized support in this program? Absolutely, if you show up consistently both on the LIVE group coaching calls and in our private FB group and ask your questions, you will definitely receive personalized support. It’s incredibly important to me that every amazing woman who joins the Freedom Society knows that I see her as a unique, brilliant individual, not a number. I want to know your dreams, your business and to see you succeed because I know that your success creates a ripple effect that will positively change the world and lives of others, starting with yourself. If you’re not getting personalized support it’s because you’re not raising your hands on the call or asking questions in the Facebook group. I’m 100% committed to your results. Are you? I’m a new coach, is this for me? 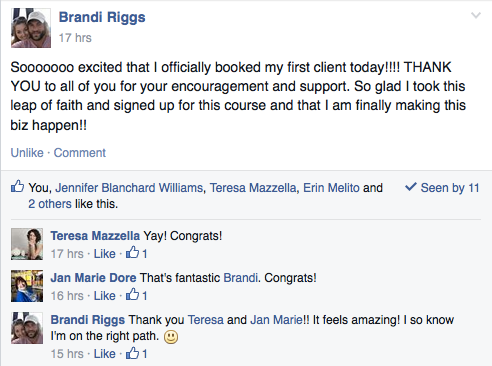 Yes, this coaching program is absolutely for you. I’ve designed the Freedom Society specifically for new entrepreneurs and coaches who feel overwhelmed by where to start and don’t want to wast their time and money spinning their wheels, as well as for those who have been trying to get everything set up on their own and are tired of not seeing results. This is your proven framework that I’ve used over and over again in my own business and with my clients to create consistent 5 and even 6-figure months. I spent several years trying to figure this all out on my own and I would have saved so much time and money if I would have sought out expert support much sooner. This program will help you set your business up right from the get-go with a supportive Orientation process followed by four months of actionable trainings and personalized coaching. I’ve been coaching a while but not hitting my financial goals, is this for me? Absolutely. You’ve already got the basics figured out and know what you love to do. Now it’s time to streamline your business and get the necessary systems and structures in place to make it really profitable. And with ongoing personalized coaching, a supportive community and access to top industry experts, you’ll always know the next steps to take. Every time you hit a plateau there’s usually some mindset work that needs to be done as well and that piece is also included in this program to support you in going to the next level. I have a service-based business but I’m not a coach, is this for me? This coaching program definitely applies to online service-based business owners as well. Whether you’re a branding expert, you build websites, photographer, online personal trainer or another service-based business, you will benefit from the personalized coaching as well as the trainings to help you reach a bigger audience by leveraging the global market place. The tools you need to set up your business, attract clients, build and price packages that support your desired lifestyle, grow an engaged following online and so much more are the same whether you want to create a booked up coaching business, take your personal training online, or expand your photography biz. The Freedom Society is definitely powerful for coaches, but alums include all types of coaches as well as actors, musicians, writers, burlesque dancers, doctors, psychiatrists, and so much more. This is a safe space for anyone who’s ready to create freedom of time, money and mindset with their own online biz. If you’re super busy then I highly recommend you enroll in the Freedom Society, this program will help you streamline your business and focus on money making activities so you’re actually LESS busy but earning more. I typically work 3-4 days a week on my business and will be sharing my exact schedule for doing this with you. 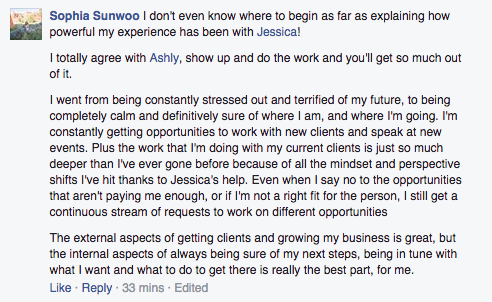 I’ve done a group program before and my business still isn’t where I want it to be, why would this be different? How big were those groups? I don’t believe in over filling my group programs because I want to know you, your name, your business, your progress and where you need support. I keep my programs big enough for you to have a really active supportive community but small enough so you have the opportunity to ask your questions and receive personalized coaching and support. This is the fourth time I’ve offered the Freedom Society and it has quickly become my most popular program because of the results participants create: creating 5K and 10K months, leaving their jobs, traveling, feeling empowered, connected and on track, sometimes for the first time in their life. This program include written material on exactly what I did to create my multiple 6-figure business so that it can be replicated in a way that’s authentic for you, because my main desire is to help as many women as possible claim their freedom. I’m as invested in you succeeding as much as you are. Right now, today! As soon as you sign up you’ll receive instant access to all your Orientation material and the private FB group and I’m ready to connect with you there today! Also, the sooner you enroll in the Freedom Society the more support you’ll receive, like access to our two LIVE Orientation calls on February 16th and 28th (recordings will be available afterwards). So by the time the program begins the week of March 14th with ongoing coaching calls and trainings, you’ll have had the opportunity to create more momentum in your business than you’ve seen in months or longer. The Freedom Society is an incubator to help you focus on money making activities and amplify your results. What do we do on the LIVE coaching calls? 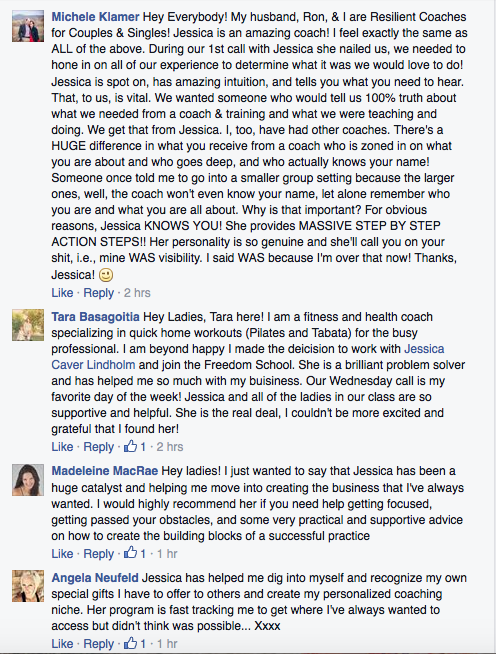 You ask your burning questions (I know you have some right now) and receive personalized coaching just for you. This is where you get out of stuck, overwhelm or spinning and get clear specific action steps. You bring your questions, concerns and desires and I bring my experience, expertise and sharp intuition. This will become one of your favorite times of the week, except for having a blast on your sales calls when you’re booking up your coaching packages and connecting with new clients. How long is The Freedom Society? The Freedom Society is a four month high-level coaching and online business implementation program running from March through June 2017. However, when you sign up in February you’ll receive a month of supportive Orientation material, bonus LIVE Orientation calls and access to the supportive private FB group, making this program five months long (Feb – June) for the same investment! The sooner you sign up, the more you receive. Time to take action! Absolutely! Not only is there a payment plan option but I’m also offering special early bird pricing of $1,000 OFF and an extended payment plan when you sign up early. I want to make getting the support I know you need to succeed and seriously earn online to be as easy as possible and I don’t want finances to stand in your way. Having to stretch a little to get to the next level is expected, investing in ourselves is part of the growth process (believe me I’ve been there) but early bird pricing and the extended payment plan will make this up level into the woman and business owner you want to be much easier. Don’t hesitate to email info@jessicacaver.com if you have any questions about getting signed up for the Freedom Society, my team and I are here for you! Because I actually know your name, your business, your goals and you’re not just a number I check off on the way to hitting my income goals. You’re an amazing person and I treat you like one! Proven Business System and Strategies: Through the 8 foundational trainings I share everything I’ve learned about authentically creating consistent income online without sacrificing my freedom, relationships or health. Intuitive + Feminine: I don’t believe in overwhelm and burnout. I believe that you’re an unlimited divine being who has infinite potential in every moment and that’s how I treat you. Run your business from a space of inspired action, reconnect to your inner guidance system and you’ll live your life in the flow AND see your bank account dramatically expand. I’m living proof. I don’t just talk about it. I LIVE it. Access to Top Industry Experts: It can take years to build the relationships and connections of a successful entrepreneur, but not with the Freedom Society! You’ll have access to some of the most powerful women I know who have personally impacted my business and helped me grow a big engaged following of rock star clients. Now it’s your turn! Can you only make money as a coach if you’re teaching people how to make money? I want to coach on health, relationships, law of attraction, being a parent, etc. No, there’s 1,001 ways to make money and they all definitely don’t require you to teach other people how to make money. What they do require is helping your ideal client solve a problem that they’re willing to invest in and clearly sharing this in your message and marketing. Once you have a clear message, consistent marketing equals consistent income and I’ll be showing you exactly what that structure looks like. I’ve had writing coach clients earn 5-figure months. And there’s a whole industry built off of relationship and weight loss coaching. What’s most important is that we know what makes you unique and that you’re very clear on the value of what you have to offer so that your clients will know why they should invest in you as well. Will we be covering the mindset piece as well or only systems and structures for business? We will definitely be covering both. I’m a results-based girl and I know that in order to get great results, you must have the necessary systems and structures in place and to be a smart business woman. But, you also MUST have the mindset piece in place and a healthy wealth consciousness to create a business you love and to earn at the level you desire. You know deep down that you’re meant for something more. You know there’s a big life you’re meant to live — and along with that comes a big impact AND income. You don’t have to figure everything out on your own anymore. You don’t have to take years, like I did – spinning my wheels and wishing something would change. You have the power to get exactly what you desire out of both this coaching program and your life. If the Freedom Society resonates with you and your heart is saying ‘Yes!’ then I’d be honored to support you in this next step and in your own transformation. Trust your gut and your desires, our intuition will never let us down. It’s time to let go of the struggle for good. It’s time to feel confident, clear and on purpose just like all the Freedom Society ladies who have shared their stories on this page.. This is your time and I welcome you into mentorship, into community and into the Freedom Society with open arms. I wouldn’t be where I am today if I’d let fear get the best of me. I didn’t wait until I felt safe, I got clear on my true desires, checked in with my gut and took a leap of faith. As my business, income and impact have grown I continue to have new opportunities come my way that require me, once again, to take the next step forward even if I’m a little afraid. Today is your opportunity to start acting like the successful entrepreneur you desire to be — get clear on your desires, check in with your gut and take the next step forward. I’ll meet you on the other side of your fear, where you can finally live free.